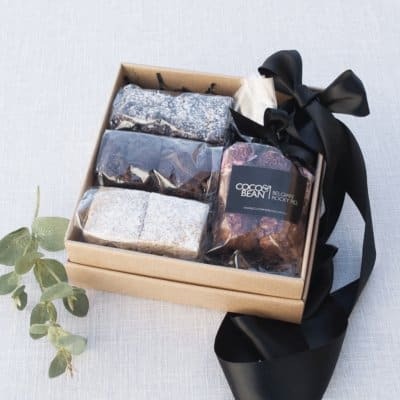 Presenting the Ultimate Easter Dessert Gift Box, the perfect treat for the Office or Family get together that is sure to win you some serious brownie points this Easter. 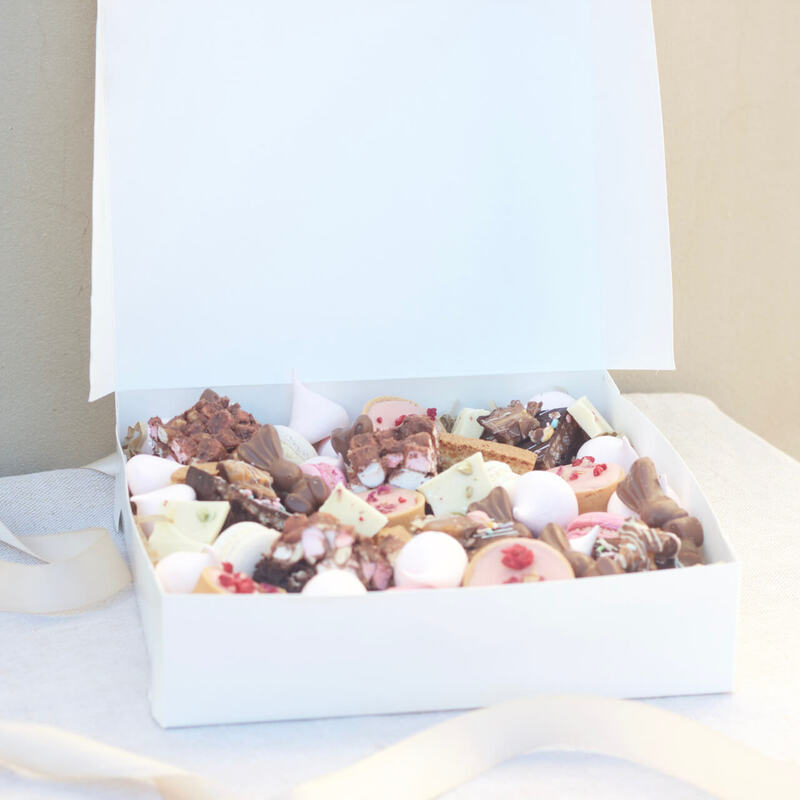 The Ultimate Easter Dessert Box will surprise and delight everyone this Easter. 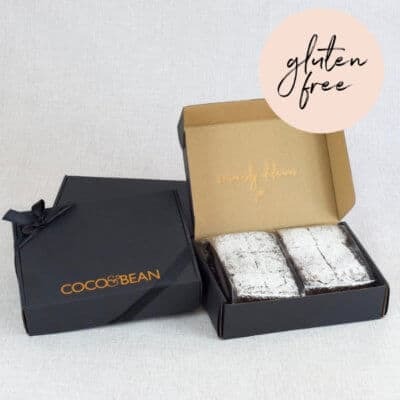 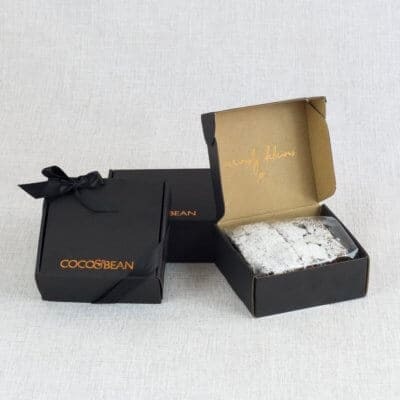 Baked fresh to order, this delicious gift box is jam packed with Easter Brownies, Rocky Road Brownies, Caramel Strawberry Tartlets, French Macarons, Belgian Chocolate Bark, Chocolate Easter Bunnies, Biscotti and Meringue Kisses. 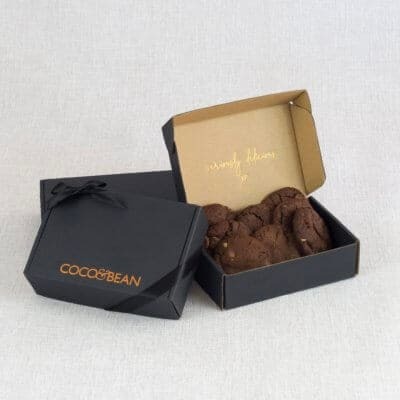 STORAGE: Keep in your Dessert Box chilled in the refrigerator and bring to room temperature prior to serving.